Walt is native of St. George and lives in the home his Great Grandpa built in the late 1800's. He met his wife, Jennifer, while they were both attending Dixie State College. 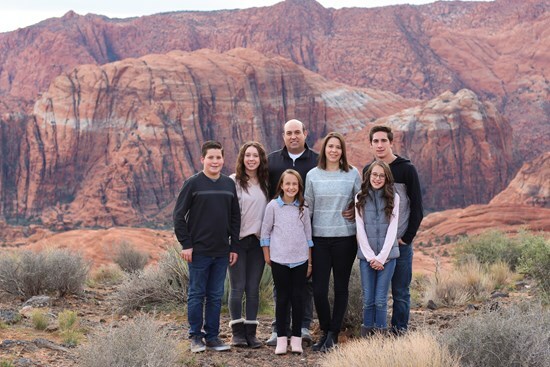 They married 4 years ater while attending SUU and made their home in St. George. They have 5 children ranging from 9-18. Walt received his B.S. from Dixie State University in Business Administration. He has been an owner/operator of small businesses and was the Director of Sales for a multimillion-dollar electronics company. In addition, with his business experience and ability to speak Chinese he was a consultant for a manufacturing company with plants in China. He currently is the president of RxTrax, a software company that specializes in tracking deliveries for the pharmaceutical industry. He enjoys being involved and serving in the community. He is involved in the Boy Scouts of America, has organized humanitarian projects for local charities like the Dove Center, Care & Share, and SwitchPoint. He is also involved with his local Community Action Team and C.E.R.T programs. Walt has a great love for Southern Utah. It is a beautiful and wonderful place to live, work and raise a family.